Getting a tattoo is an exciting experience. You pick a figure, word, design or something that you really like and want it on your skin forever. However, it is observed that more than half the people who get a tattoo regret it later and wish to remove it. So now what, is there a way out? Fortunately, yes. Thanks to laser treatments with which removing tattoos is easier than before. 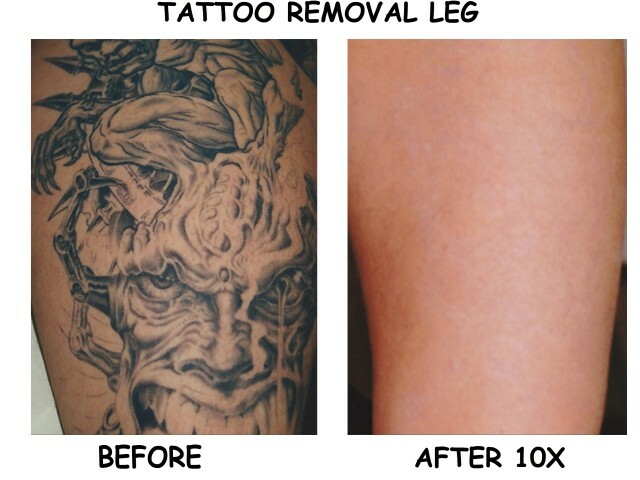 Compared to any other tattoo removal techniques, laser treatment is the most widely used and reliable one. Well, of course the treatment is a little painful and expensive, but the results are guaranteed in most cases, especially if you have consulted a reputed laser removal clinic like the Shaw Center MD. If you are looking forward to get a tattoo removed by undergoing a laser treatment, then here are a few things you must know. The treatment is simple. The doctor uses a high focused laser and a computerized program. The program analyzes your tattoo pattern and then the doctor uses the laser beam on the entire tattoo. The laser beam hits the deepest skin layer where the tattoo ink is put. The pigments of ink gets destroyed by the laser beam and comes out naturally once the inner skin layers start to grow out. Usually, any tattoo removal laser treatment will take around 2 to 8 sessions. Additionally, you will need a 2 to 4 weeks healing time in between every two sessions. So, in all, it will take about 6 months to remove an average tattoo. The sessions are usually short, but of course the time of each session as well as the healing time depends on the size of the tattoo. Smaller tattoos will take less time to treat and heal, while bigger tattoos will consume more time. Since a high intensity laser beam is used to treat your skin, getting blisters after the session is completely normal. It will take its time to heal too. Sometimes, with the laser beam, the skin damages to an extent that it creates scar tissues. This is an issue if the tattoo was in a very exposed area of the body. However, by undergoing a scar treatment, this issue can be solved. This is a temporary problem and usually fades away after a couple of months. This happens because the melanin levels in the treated area get less. If you are considering undergoing a laser treatment for tattoo removal, then it is ideal to consult a reputed doctor. Talk to him/her and clear all your doubts and queries face to face before the treatment begins.